I spend more time than the average person thinking about color, light and of course how those two subjects pertain to photography and my specific work of weddings. From time to time like any artist I evaluate my work, my style. I ask myself, is it too much color, or too much contrast? Ultimately, I decide that no it is not too much. Life is color and color is life for me and at the end of the day bold colors and the colors of our environment are what makes my heart sing. 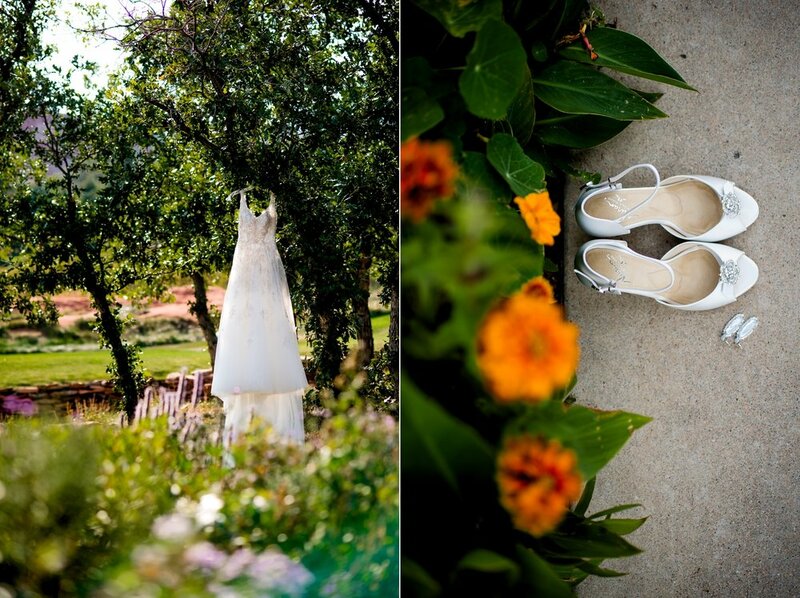 An example of this shown in the blog, this Arrowhead Golf Course wedding is colorful, romantic and fun and I look back on it fondly. I met Kirsten and Dylan for their engagement photos last year and these two could not be any sweeter! 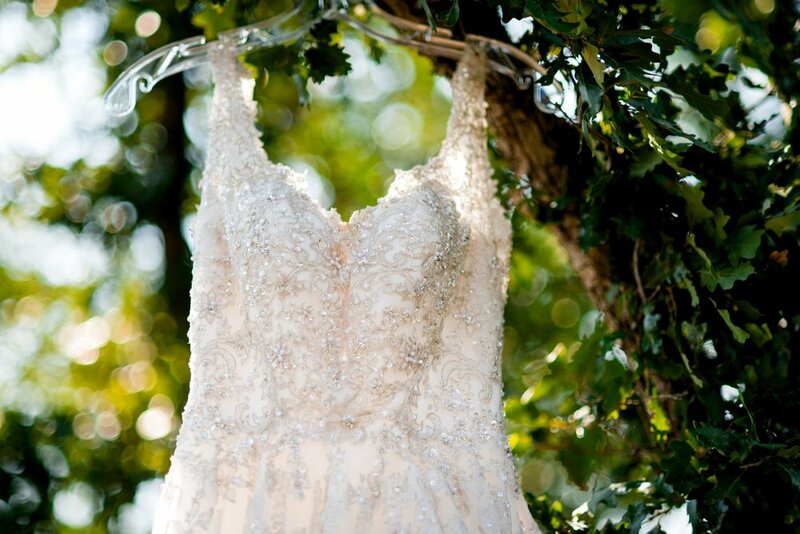 I love how the feel of their wedding was light and romantic. 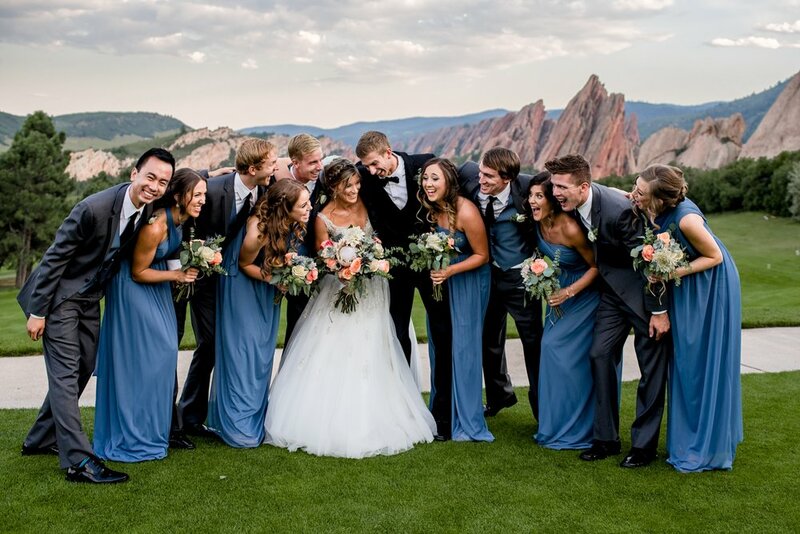 The colors and décor they incorporated into their Arrowhead Golf Course wedding were classic, and soft – yet bold! I truly think it a very fitting day for them and their family and friends. It was a celebration of epic proportions, and the spirit of their party is something I won’t be soon to forget! 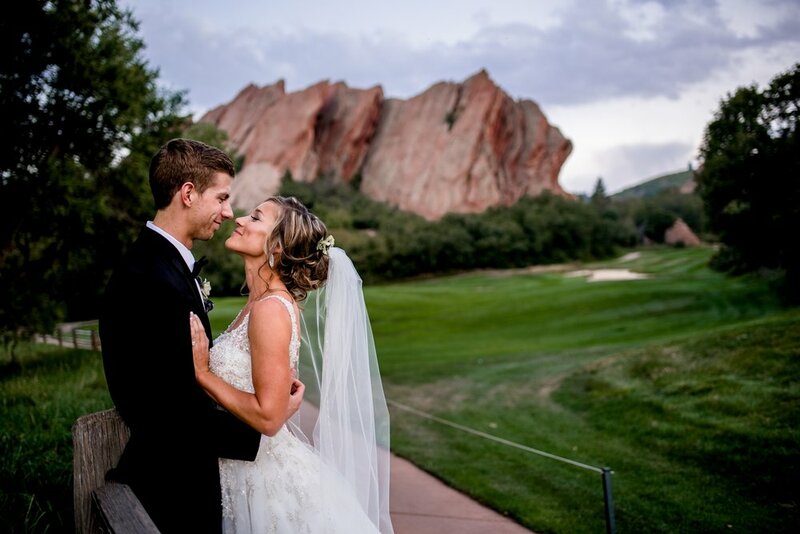 Of course, with any Arrowhead Golf Course wedding the views were breathtakingly beautiful. 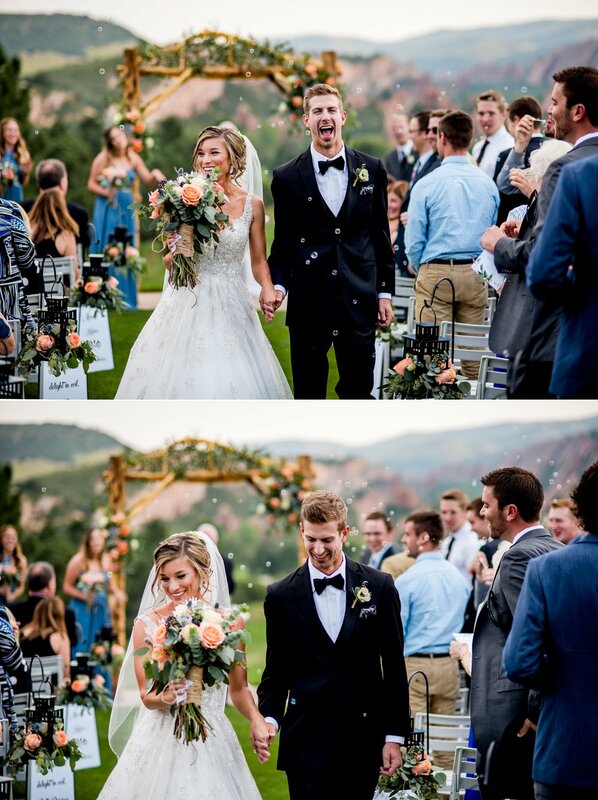 We had endless opportunities for these stunning Colorado backdrops, which paired exquisitely with these sweet smiles and in the context of my job, I personally love that the most. Something that I emphasize to my clients is that location is never the most important thing at a wedding or session because no setting I have ever seen has rivaled an emotionally charge expression of love. Having epic moments in epic places is the goal, but in that order of importance. All that being said, Arrowhead Golf Course if you haven’t checked out Arrowhead Golf course or the Roxborough State Park area, I highly recommend it.